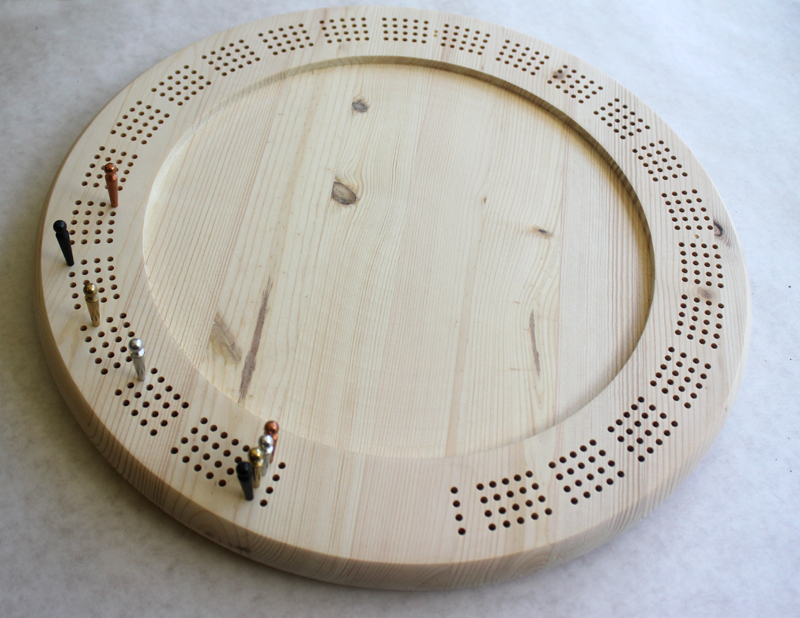 Standard metal pegs work best with this board, although large and oversize pegs will squeeze in. 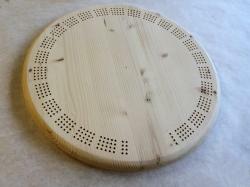 Here we have a range of our 15" diameter round pine boards that are provided blank, ready for you to complete. 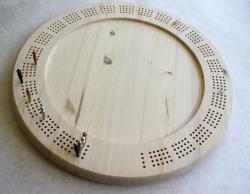 This is also one of the simplest boards to play - one trip around to the end, no laps needed! Great for 2, 3 or 4 players. 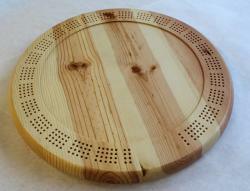 Whether you are a painter, woodworker, or just enjoy making your own mark on things, these boards are ideal. As far as finishing goes, we can provide the board just lightly sanded or sanded with a base layer of shellac. We also have an option for a round recessed area cut in the center if you wish to use poured epoxy, decoupage or other methods to encapsulate pictures and objects. 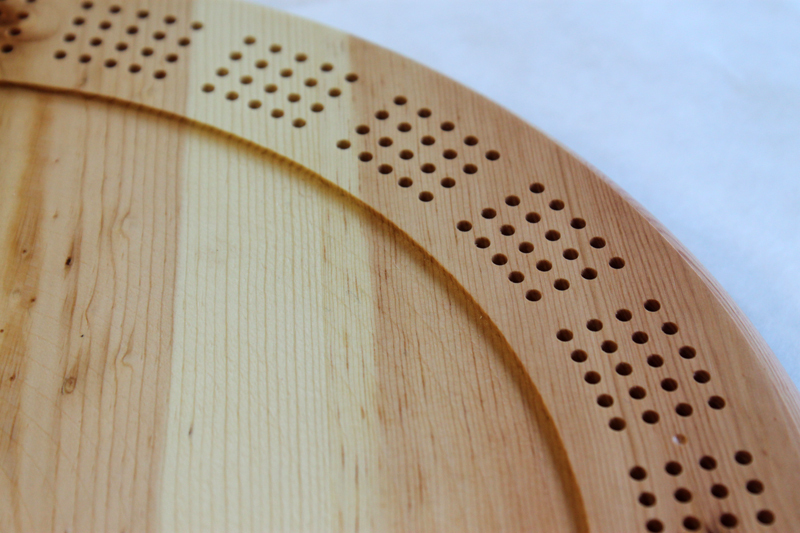 All the boards come drilled with four tracks and have a peg pocket in back, with a sliding brass plate and a set of felt feet for you to attach. 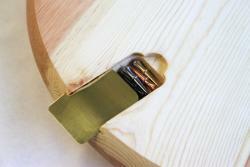 You can choose a set of 12 of our standard pegs, 12 oversize pegs or 12 of our large pegs. The standard pegs work best with this board, but it is just about possible to squeeze in the larger pegs if required. 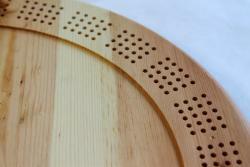 The boards come with a hanging hole at the top back and are signed on the back too. We also have an unsigned version available. If you need something completely finished, engraved with words, an image or graphic, please contact us for a quote for a custom board which you can also view here. Lastly, if you don't see the option you want, please contact us and we'll prepare a mockup and price for you.